Photographer at ceremony site to take 40 photos, which will include the ceremony and a few poses of the bride and groom, immediately after the ceremony. Photography is available for upgrade, see additional information on the bottom of the page. Weddings in Florida have never been easier. 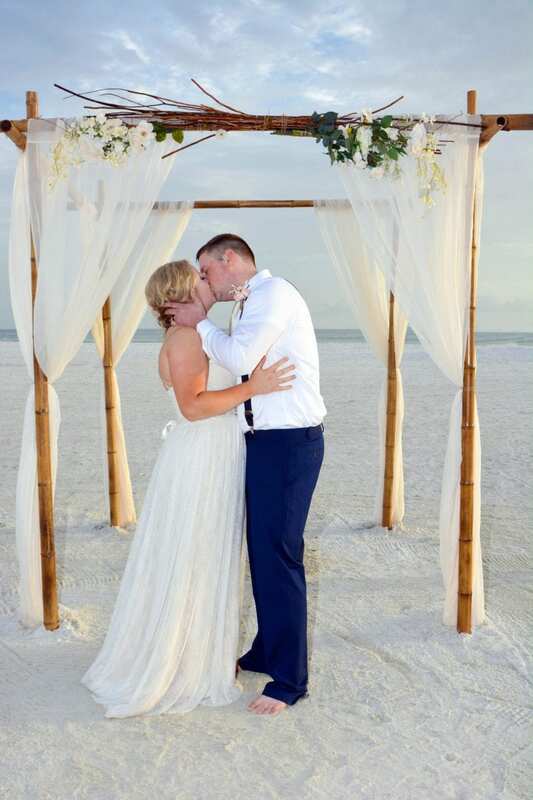 Choosing “Florida Beach Weddings” for your beach wedding ceremony guarantees that every detail of your beach wedding ceremony will be taken care of. All of your selections will be made online, making it easy and convenient for you to plan your beach wedding from your hometown. We provide you with a timeline, an aerial view of your beach wedding ceremony location, photos of all of our decor from you to choose from, sample ceremonies to read and choose and so much more. Weddings in Florida are the ideal spot for a tropical destination getaway. Enjoy the beautiful Atlantic Ocean or Gulf of Mexico, vibrant sunsets and relaxing beachy atmosphere, without having to deal with the hassle of leaving the country. 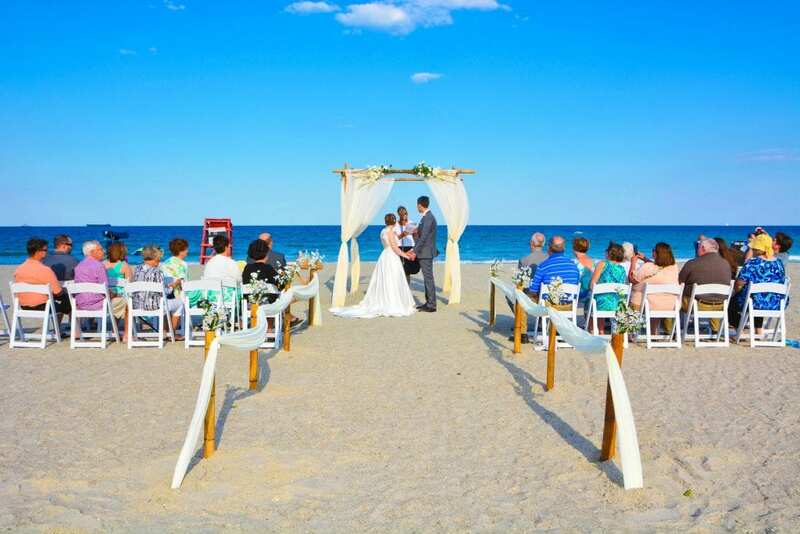 We are experts at weddings in Florida on the beach and are here to help provide our brides with recommendations and important tips to make your Florida beach wedding a success. We make sure all of our beach weddings in Florida include everything you need for your ceremony. Our beach wedding packages are all-inclusive. We believe that weddings in Florida should not only be affordable, but beautiful and easy. We take care of all of the major and minor details. Contact us today to start planning your dream wedding with us.